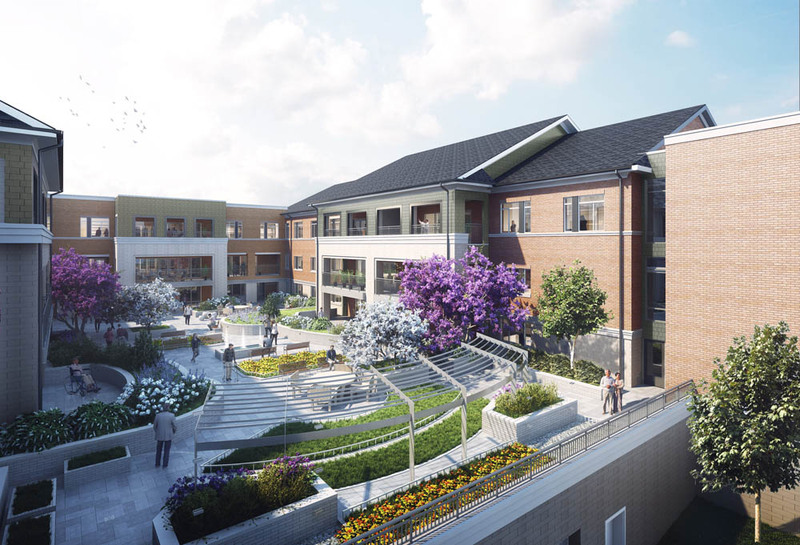 Today our plans for creating the most resident-centered community in the Carolinas include replacing our existing health center with an architecturally vibrant new care community. 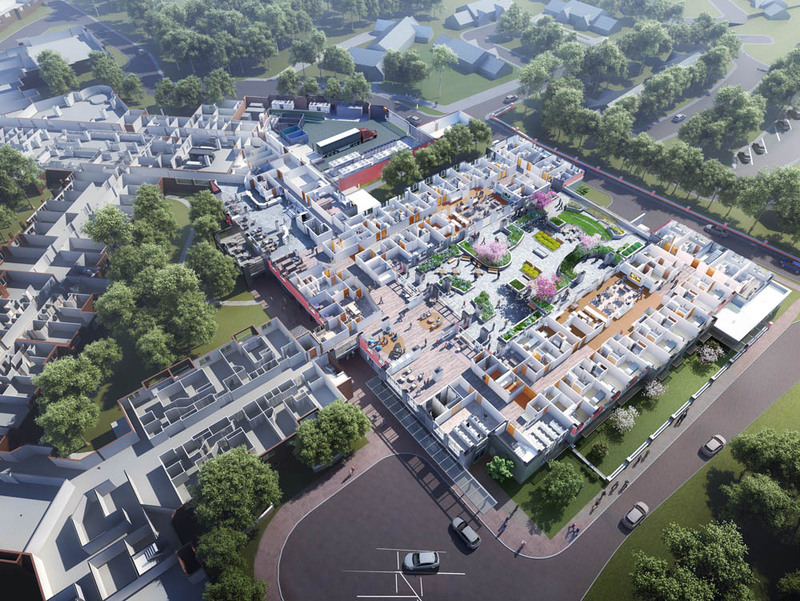 It will provide residents who need nursing, assisted living or hospice care with a homelike setting, innovative design and a person-centered approach to care. 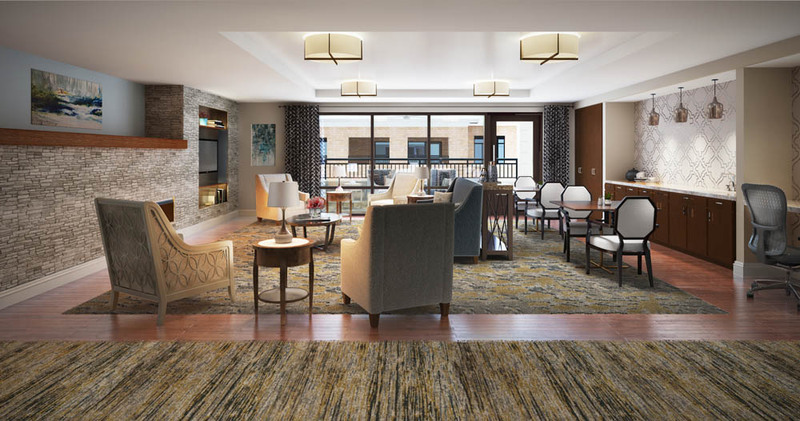 Residents will enjoy open and inviting small neighborhoods with engaging activity areas designed to encourage socialization and participation for those facing health challenges. The new design will ensure that residents and families always remain central to decision-making regarding their care. Your gift to Southminster’s campaign will touch the lives of countless residents, staff, and families and will inspire the giving of others. Your financial support of this new generation of holistic living will help ensure the health of your loved ones, your community, and future generations. On a larger scale, your commitment will help Charlotte remain at the forefront of life-plan care. Today our plans for creating the most resident centered community in the Carolinas include replacing our existing health center with an architecturally vibrant new care community. 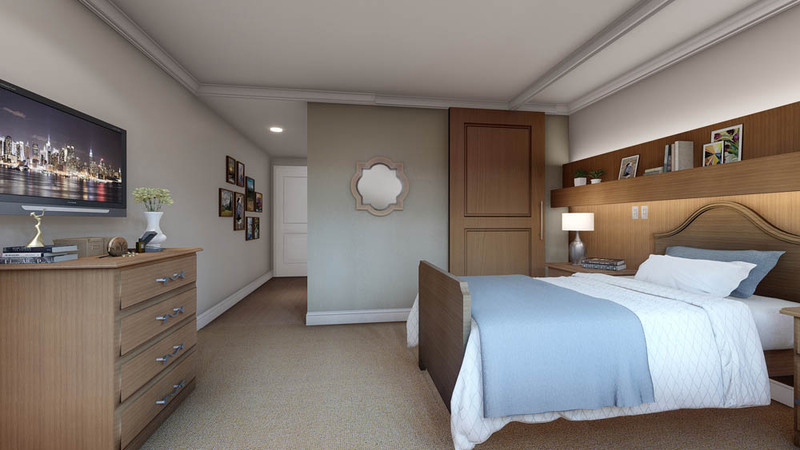 It will provide residents who need nursing, assisted living or hospice care with a homelike setting, innovative design and a personcentered approach to care. 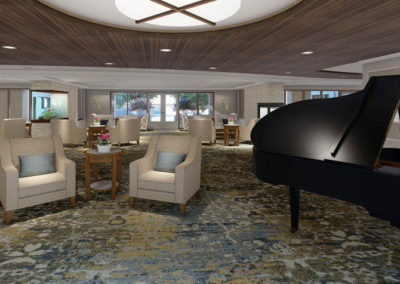 Residents will enjoy open and inviting small neighborhoods with engaging activity areas designed to encourage socialization and participation even for those facing health challenges. The new design will ensure that residents and families always remain central to decision-making regarding their care. 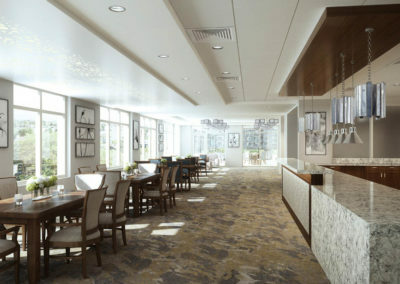 Southminster’s Board of Directors, together with residents and staff, have approved a state-ofthe-art design to continue to deliver exceptional care for generations to come. 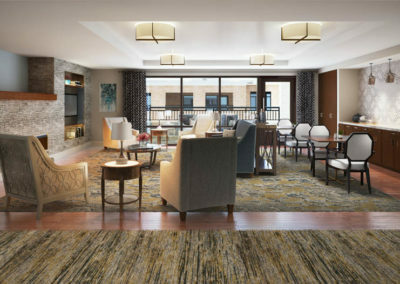 Our innovative, connected plan allows loved ones to stay seamlessly linked under one roof, while also creating common spaces with new opportunities for support and interaction. 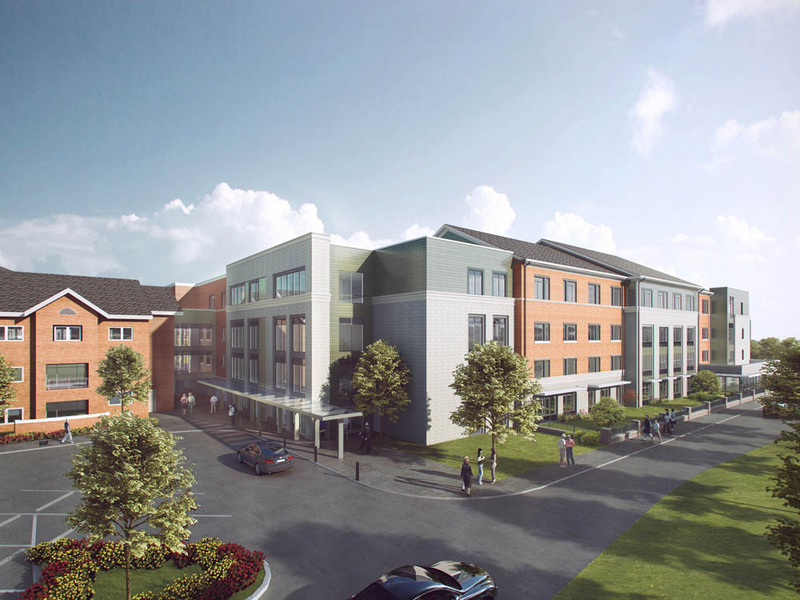 The new Health Center is scheduled for completion in 2020 and will reinvent the future of retirement living and care. It will include the following areas of enhancement and amenities. Beautifully landscaped courtyards with easy access to cozy outdoor seating encouraging socialization, relaxation and recreation. 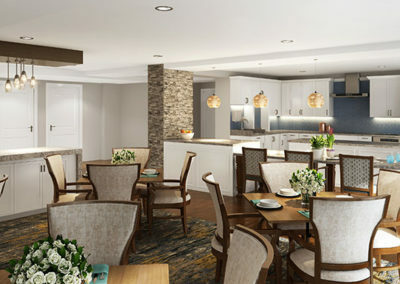 Easily accessible large living rooms, library, sunroom and a demonstration kitchen area central to each neighborhood to be used for a variety of activities and events – cooking demonstrations, grabbing a snack and even preparing daily meals. 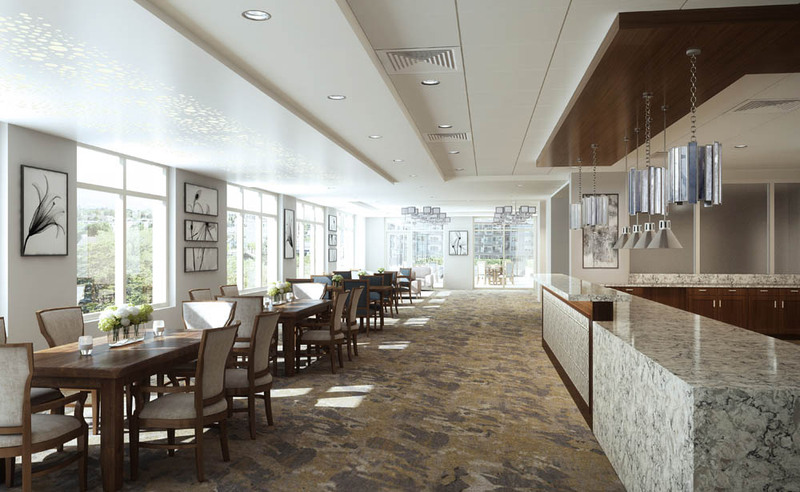 Intimate, beautifully appointed dining rooms within each level of care. Uniquely designed to integrate with independent living social spaces. 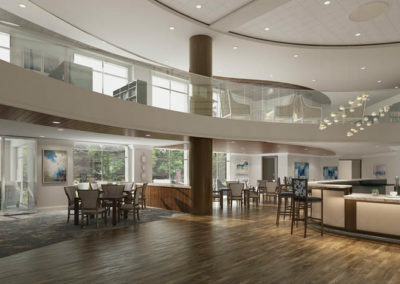 A new 200,000 square foot, 4-story, 85-bed health center with modern technology and amenities. 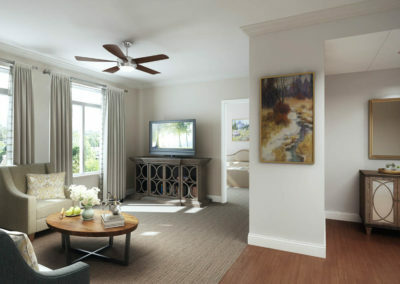 25 assisted living apartments, one-bedroom suites each with a kitchenette, living room, separate bedrooms, fully tiled baths, and walk-in closets. 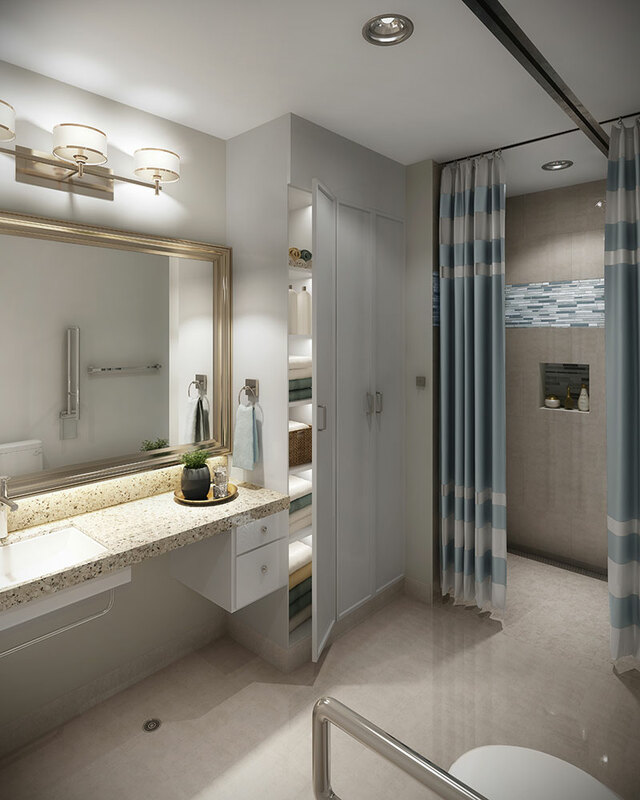 60 private skilled nursing rooms with private baths. Private spa bathing areas within each nursing neighborhood. Private balconies on each level of care overlooking the courtyard. 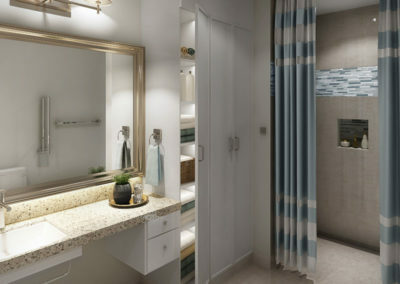 Innovative design with zero entry showers and pass through closets. 2 levels of underground parking and additional visitor parking. Enhanced clinic area including primary care, psychiatry, podiatry, dentistry, audiology, and expanded physical therapy. 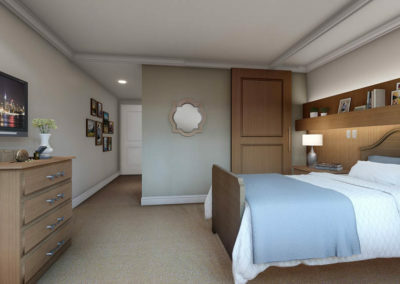 Secured private access to Levine & Dickson Hospice House, a newly designed 12-bed inpatient community. 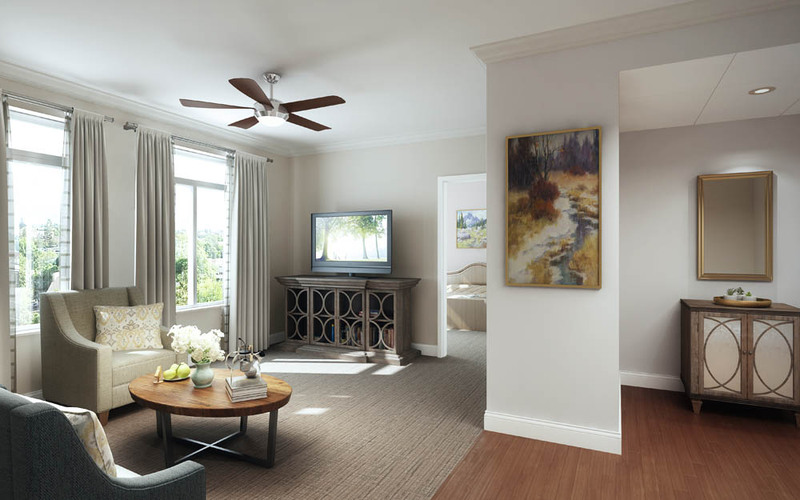 Two levels of skilled nursing – four neighborhoods, each with 15 residential residences.